Grain on the development of the Totem Candle for Areaware. About three years ago we designed some candle holders that used cast graphite cups as the main heat resistant component. We were excited about what seemed like a new use for a material often utilized in industrial production and in order to present the design properly we began to search for some interesting candles to use in photography and to sell on our site with our candle holders. 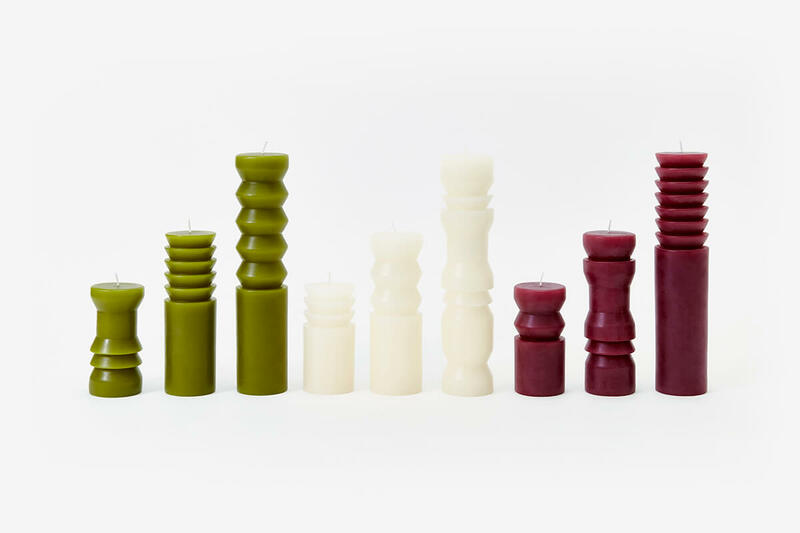 We found a great beeswax candle producer in near-by Oregon that had been around since the 1970’s producing 100% American-sourced beeswax candles in variety of interesting forms. We bought a bunch of samples to try out in our holders. We figured that we might eventually decide to cast our own shapes, so this was also part research for a future project. 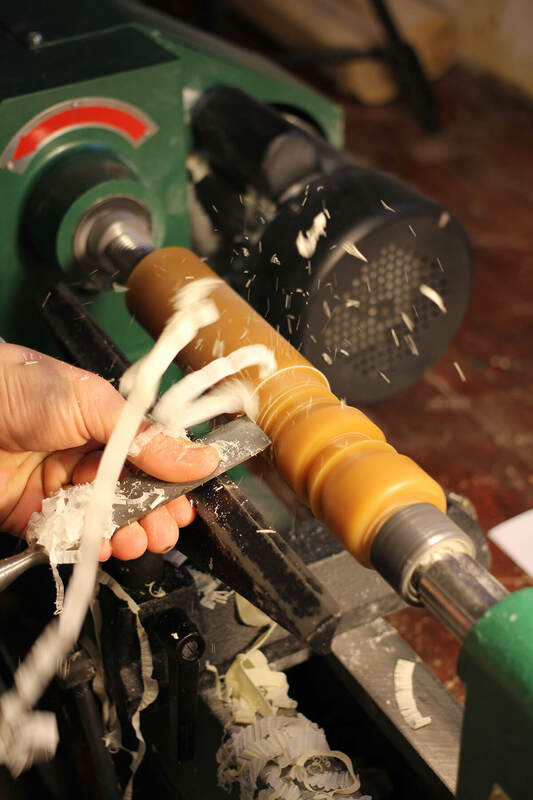 At the time we were still working from our home-based shop and we had a very basic lathe that we used primarily to sand our candle holder bases. 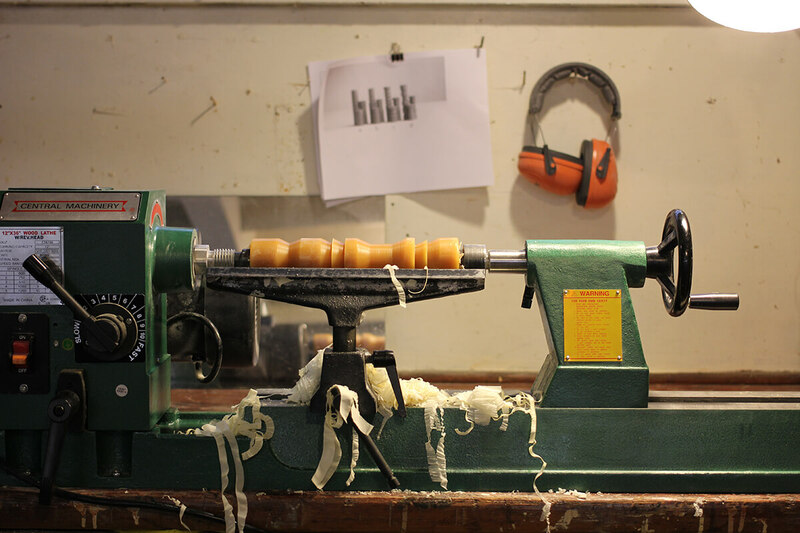 One night James was working down in the shop on some order production, saw the box of candle samples, and was inspired to throw one on the lathe to see what would happen if he tried cutting into it. James had a lot of experience turning from RISD and from his woodworking and boat building background, but he wasn’t really sure how the wax would respond. They ended up cutting beautifully - what he would later describe as “like butter.” Though very controlled, the early process was also fast and satisfying for someone used to working with wood. James shared some of his early turnings with Chelsea and she wanted to see more. Soon they were up on social media getting nice feedback from friends and then in their 2013 holiday pop-up shop where they quickly sold out. The price points were high due to the beeswax costs and hand cutting, but customers responded really strongly to them as sculptural objects. We honed the designs down to three cut patterns and three sizes with the idea that they looked best as a composition of multiple sizes and shapes. 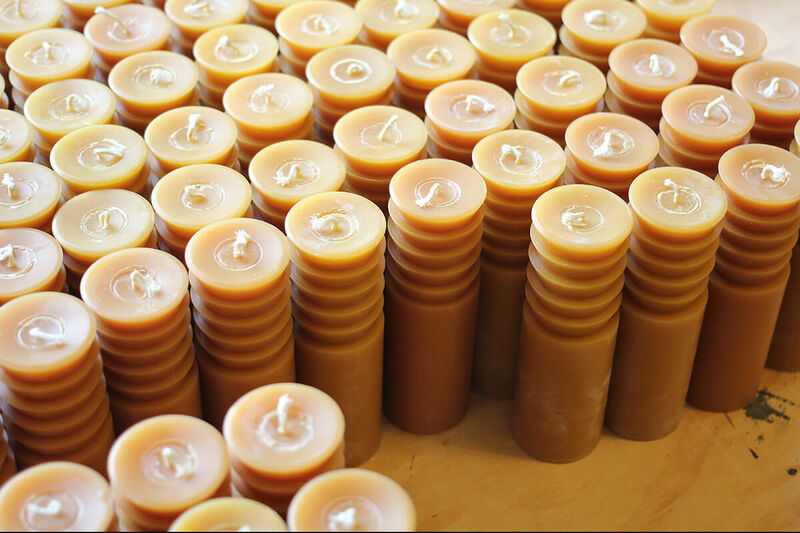 As we continued to produce them—in 2015 they were our best selling product—our home and studio completely filled with the sweet honey smell of beeswax. 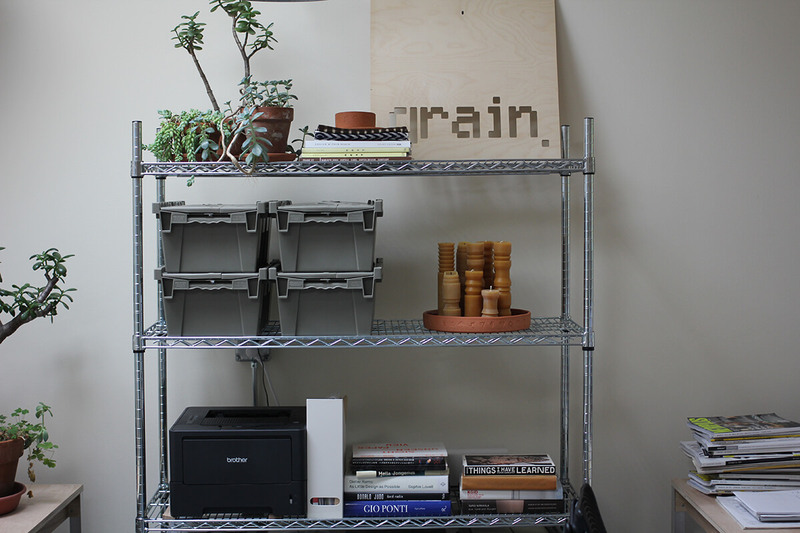 Grain Grain is an American design practice dedicated to social and environmental responsibility. Founded in 2008, the work of partners Chelsea and James Minola unites current manufacturing technologies and age-old craft techniques. Goods are produced in small batch runs in their Bainbridge Island, WA studio or through special collaborations with expert artisans in the US and abroad. Chelsea and James met while studying Industrial Design at the Rhode Island School of Design. 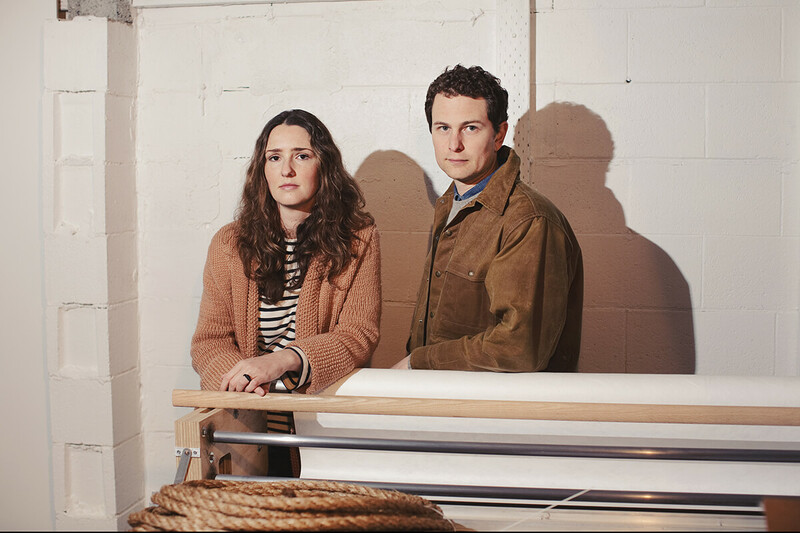 Their furniture, lighting and objects are sold in over 100 retailers worldwide and have been featured in publications such as The New York Times, Elle Decor and Metropolis.